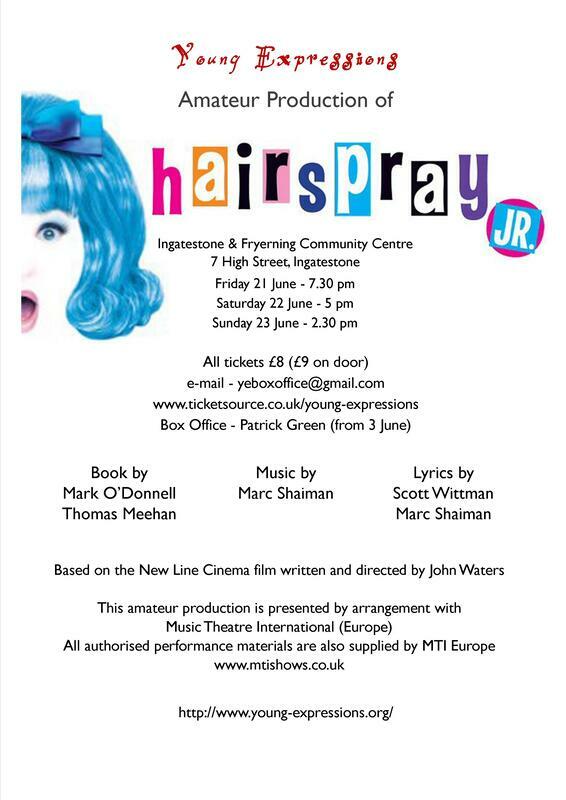 We are delighted to announce that our next show will be Hairspray Jr, the family-friendly musical piled bouffant-high with laughter, romance and deliriously tuneful songs. Adapted from the Broadway production that won eight Tony Awards, including Best Musical, Hairspray Jr. is a show that celebrates diversity with an uproarious sense of humour. Writes NODA Critic Stewart Adkins about our production of ‘Babes in the Woods’ . 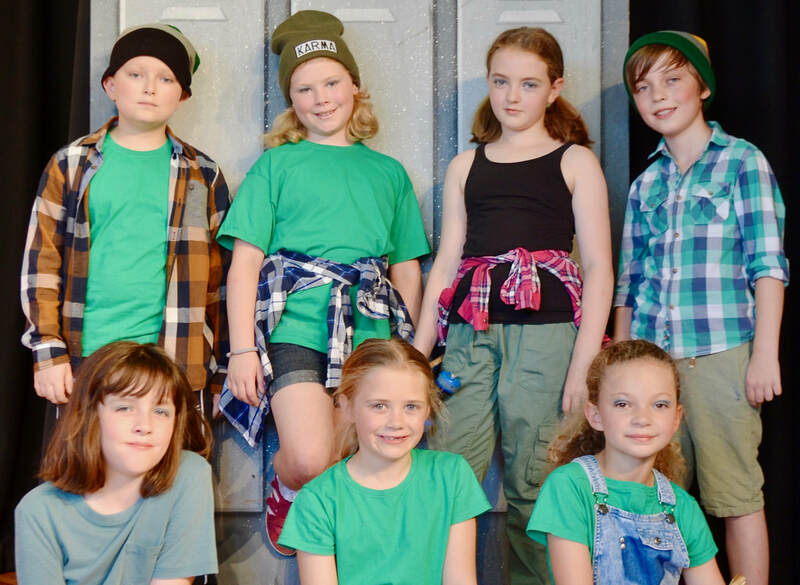 We are a youth theatre group based in Ingatestone, Essex. We make it possible for young people to get together to stage popular musicals in a friendly and enjoyable atmosphere. Young Expressions perform musical theatre productions twice each year – a pantomime at Christmas and a musical in the summer. Our shows take place at the Ingatestone and Fryerning Community Association hall, on their well equipped stage. We welcome new members between the ages of 8 and 14. If you are interested in joining Young Expressions please email Jenny Fowle using the “contact us “ link. Please provide your name, address, telephone number and the name plus date of birth of the child wishing to join the group - children younger that 8 can still be put on the waiting list and we will contact you when they are old enough to join. Once we receive your email we will contact you. Tickets on sale from 1st February 2019 via the booking system with Ticketsource. Young Expressions was nominated for an award for Best Youth Production for Annie Jr, by NODA East district 10. Unfortunately we didn't win on this occasion but congratulations to the cast and production team who were nominated. Our 2014 Summer production, The Wizard of Oz was nominated for the NODA district 8, Youth Production and Stagecoach Cup. We didn’t succeed, but Young Expressions got a big cheer at the awards ceremony! Young Expressions was nominated for two of NODA district 8 awards. These were Best Musical Performance (for Joseph) and Best Pantomime (for Snow White). The awards took place on 27th April 2014. Unfortunately there were no wins but we are very proud of the whole cast and everyone who were involved in helping us stage such a good production. Rebecca Craythorne was nominated for Best Young Performer 2013 for her portrayal of Ali Baba, and guess what, SHE WON!!!!! 2011 NODA Award Winning Pantomime. We were thrilled when Young Expressions Treasure Island was announced as the winner of NODA District 8 best pantomime of 2011. This is even more impressive when you realise that we were nominated along with adult groups. We are all so very proud of the children and this is a well deserved accolade.